Brief Introduction to IRM Canada 1. A world expert in Zinc Wastage Recycling and Zn. O Manufacturing 2. Built half a dozen Zn-Zn. O factories in several countries 3. 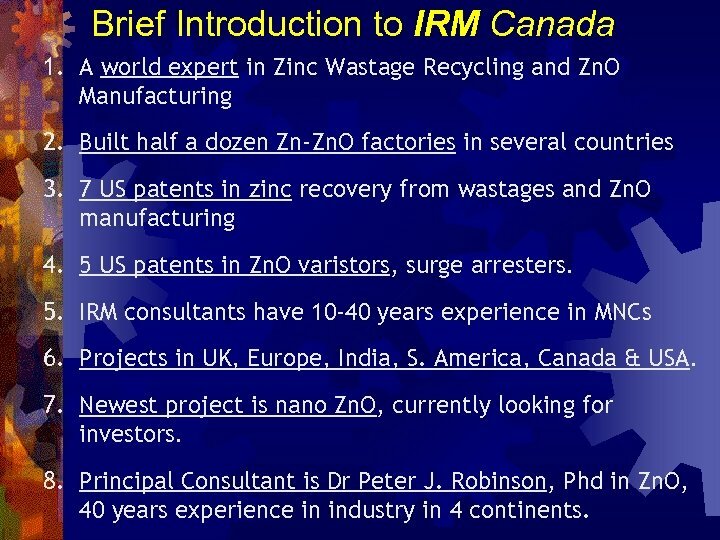 7 US patents in zinc recovery from wastages and Zn. O manufacturing 4. 5 US patents in Zn. O varistors, surge arresters. 5. 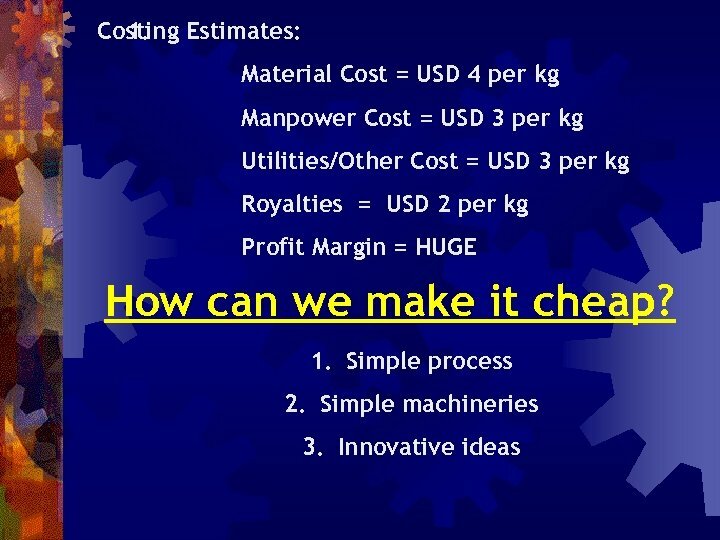 IRM consultants have 10 -40 years experience in MNCs 6. 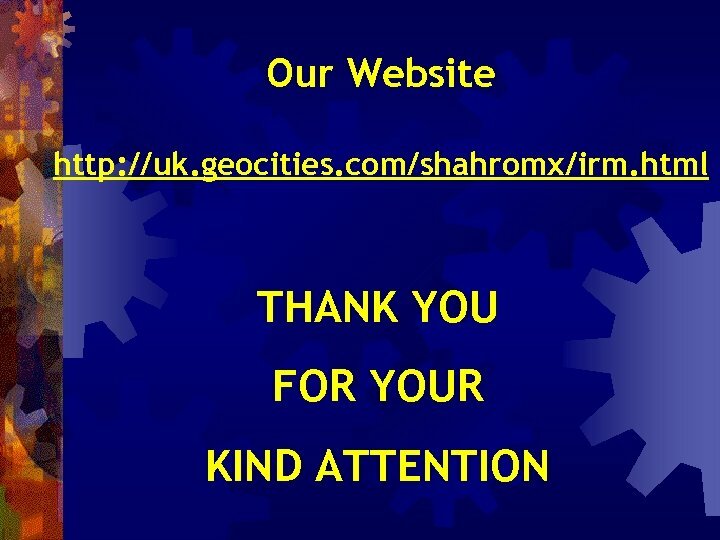 Projects in UK, Europe, India, S. America, Canada & USA. 7. Newest project is nano Zn. O, currently looking for investors. 8. Principal Consultant is Dr Peter J. Robinson, Phd in Zn. O, 40 years experience in industry in 4 continents. 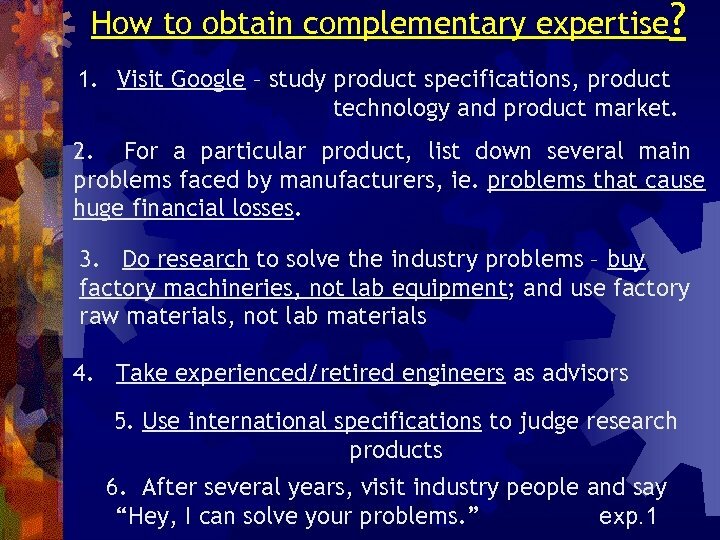 Issue 2: Complementary Expertise One Fact – Most factories make specialized products. 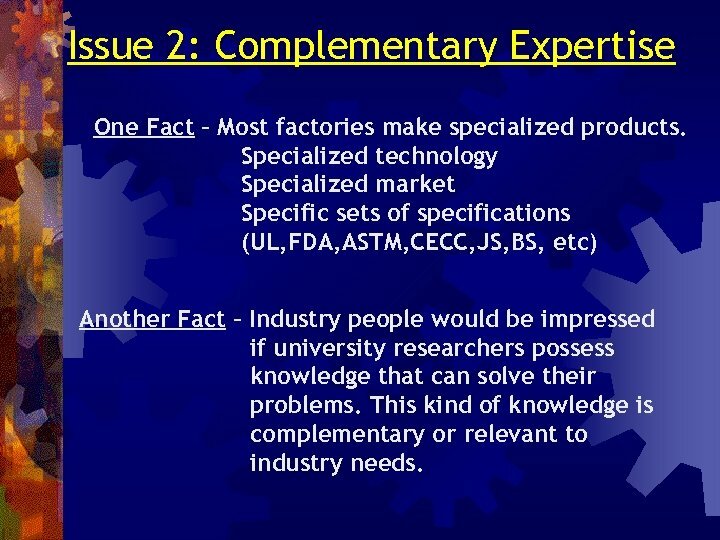 Specialized technology Specialized market Specific sets of specifications (UL, FDA, ASTM, CECC, JS, BS, etc) Another Fact – Industry people would be impressed if university researchers possess knowledge that can solve their problems. 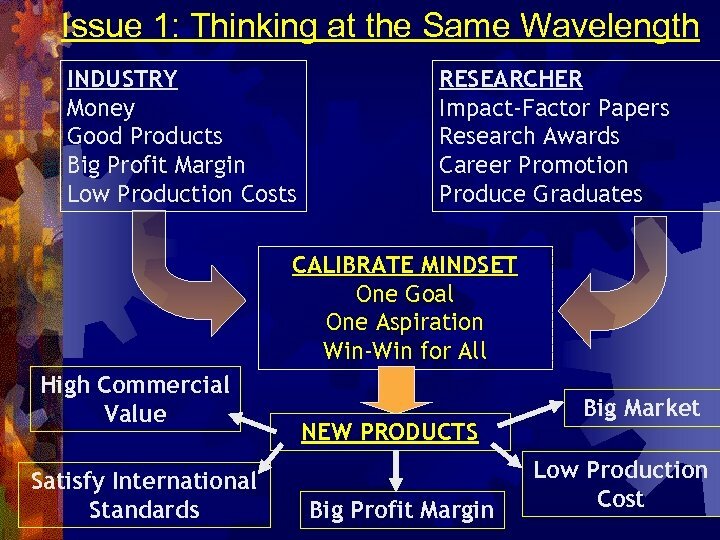 This kind of knowledge is complementary or relevant to industry needs. Issue 3: Security for Insecurity One Fact – Most companies are protective over their technology How do companies protect their secrets? 1. Secrecy agreements 2. Special access to critical department 3. During factory visits by the public, critical departments are blocked from view. 4. Anti-employee-hopping agreement among competitor companies. 5. Legal suit for industrial espionage or copyright infringements. 6. 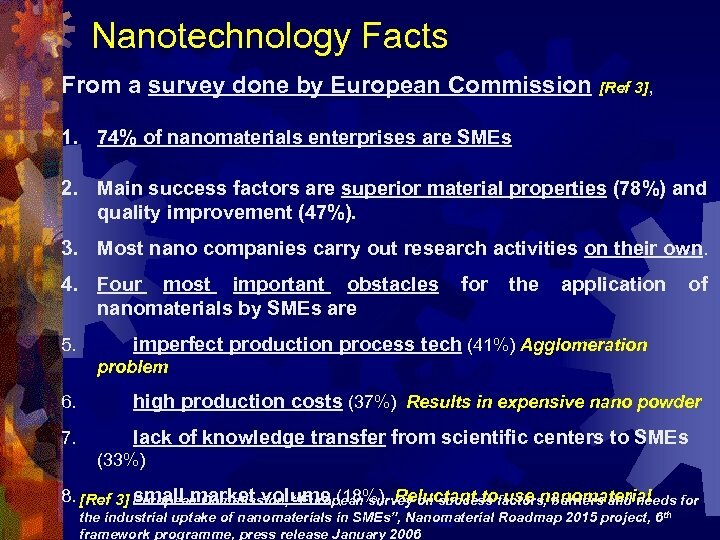 Research on core technology only done by employee; other research work can be offered to universities. Some companies feel insecure for the security of core technology thereby feel reluctant to share with others How to attract companies to share core technology? · 1. 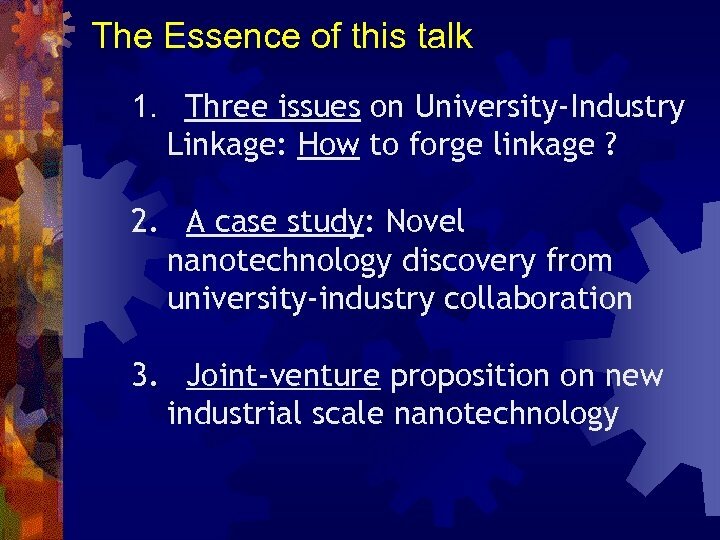 Researchers must create own core technology that can complement industry core technology. · 2. Secrecy agreements, royalties, generate income. Case Study: University-Industry Success Universiti Sains Malaysia Zn. O research group Approfit Zn. O Co. Ltd (factory) Universiti Putra Malaysia Zn. 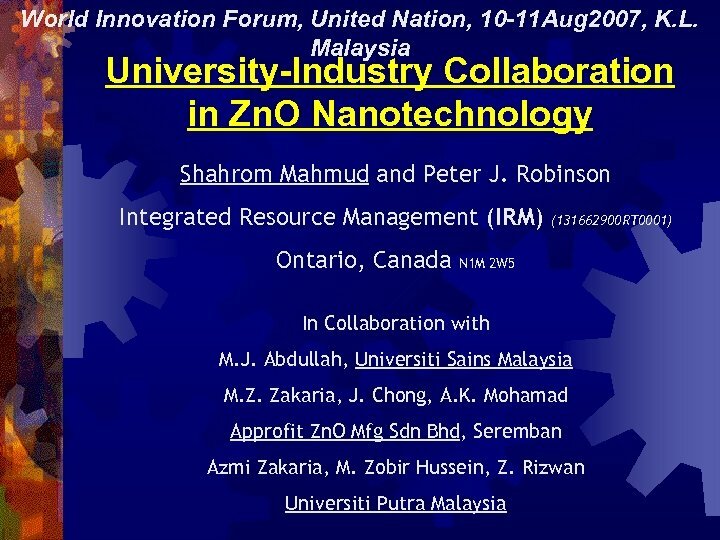 O research groups Integrated Resource Management (IRM) Canada Dr. Peter J Robinson Using factory machineries and raw materials, we invented a novel nanofabrication (CFCOM) to synthesize nano-crystals of Zn. O. 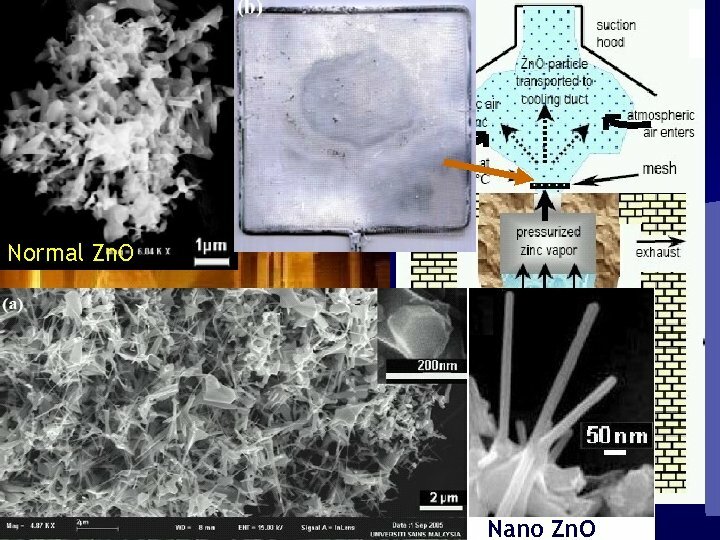 Discovered 4 new nanostructures of Zn. O. Published 4 impact-factor journal papers and 6 papers. Now, making a prototype plant to mass produce with the help of a world expert in Zn. O industry from Canada. Need investment USD 2 -3 million. 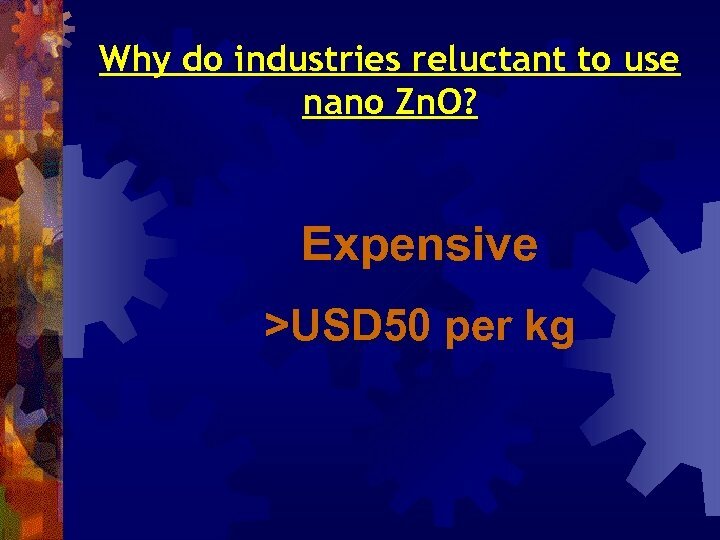 Nano Zn. 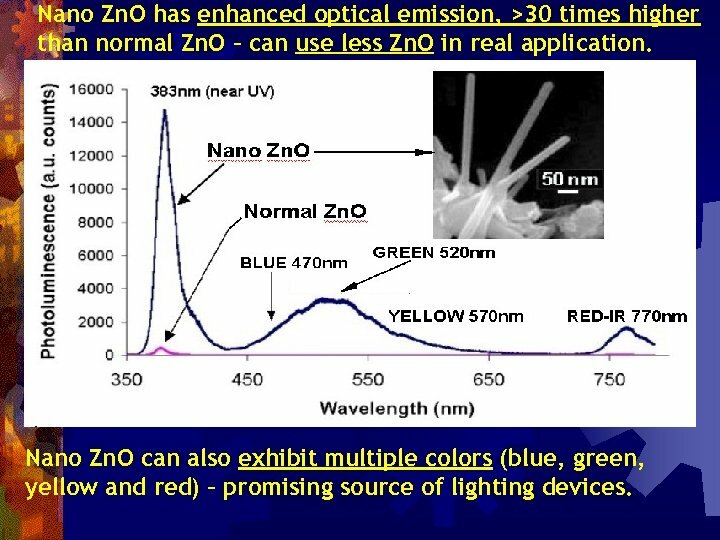 O has enhanced optical emission, >30 times higher than normal Zn. O – can use less Zn. O in real application. 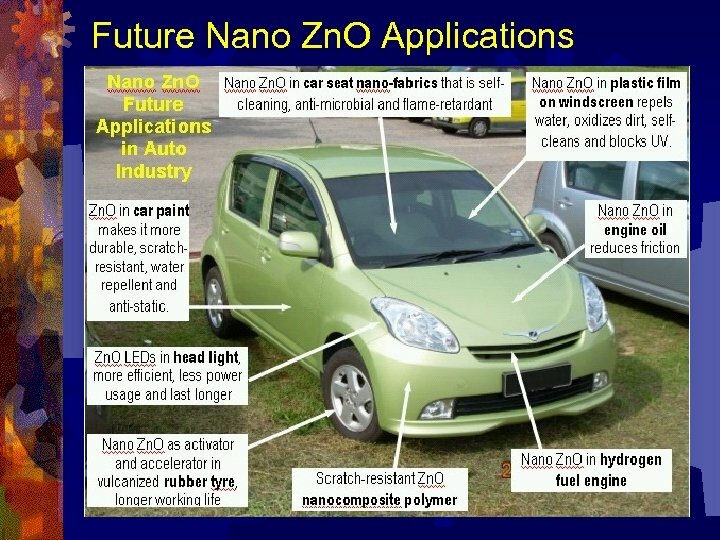 Nano Zn. O can also exhibit multiple colors (blue, green, yellow and red) – promising source of lighting devices. How to make nano Zn. O cheap? 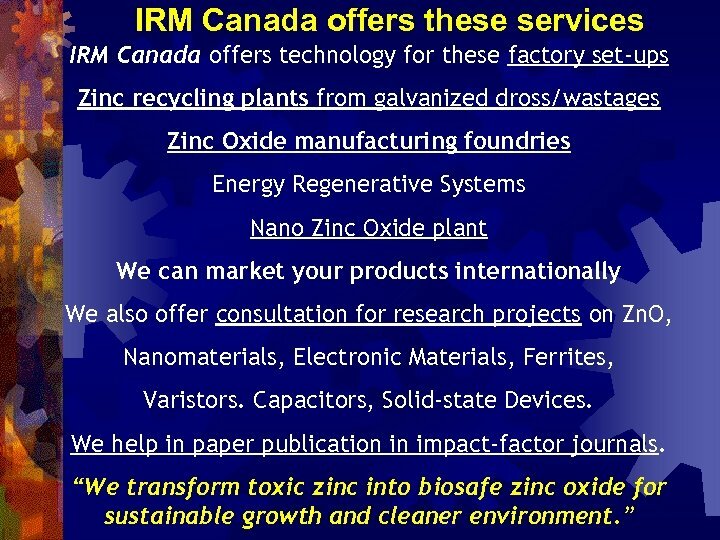 IRM Canada, we are developing a new Zn. 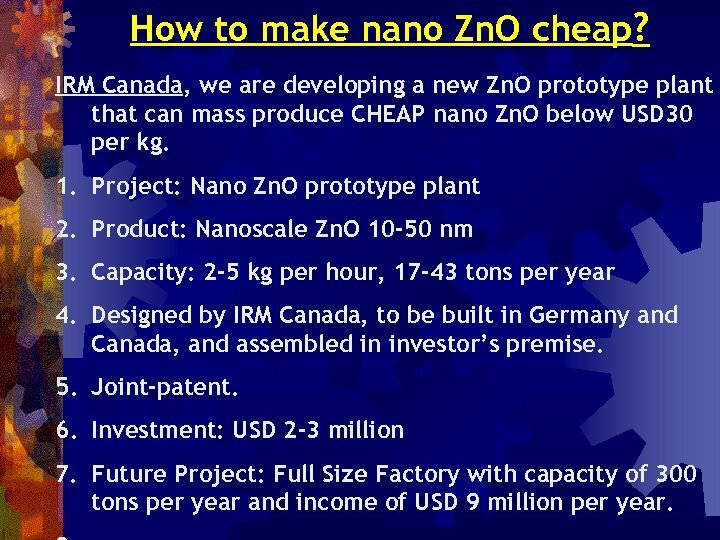 O prototype plant that can mass produce CHEAP nano Zn. O below USD 30 per kg. 1. 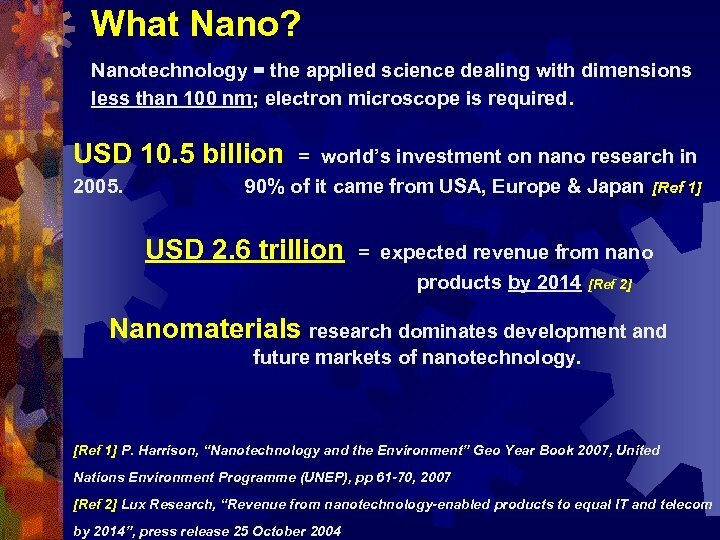 Project: Nano Zn. O prototype plant 2. 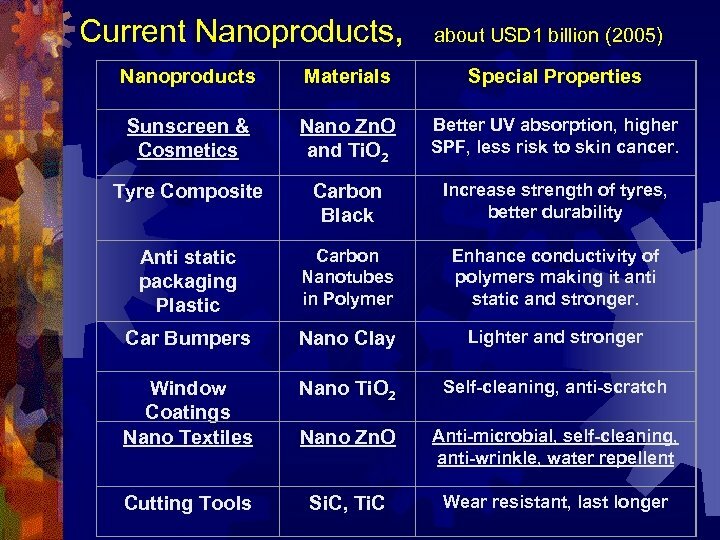 Product: Nanoscale Zn. O 10 -50 nm 3. Capacity: 2 -5 kg per hour, 17 -43 tons per year 4. Designed by IRM Canada, to be built in Germany and Canada, and assembled in investor’s premise. 5. Joint-patent. 6. Investment: USD 2 -3 million 7. Future Project: Full Size Factory with capacity of 300 tons per year and income of USD 9 million per year.